3.1 Is there any difference between posting something on my own website versus posting something on Blackboard Learn? 3.2 What if I want to email something to my students? 3.3 What is a Digital Lock? 3.4 May I post a PDF of a journal article I obtained through the library’s ejournals to Blackboard Learn for my students to read? 3.5 I gave a PowerPoint presentation in class which includes materials from a textbook (including multiple graphs and images) as well as articles and photos from various Leddy Library e-journals. Can I post a video or audio recording of the class lecture (such as a recorded voice-over Powerpoint of the lesson) on Blackboard Learn? I’ll be sure to cite where the figures came from. 3.6 What are the “best practices” that I should follow anytime that I post copyrighted materials on my Blackboard Learn site or library Course Reserves? 3.7 If I distribute two “short excerpts” of a textbook, one distributed as a class handout on the first day of class and one posted on my Blackboard Learn page on the last day of class, are these considered to be separate instances of “fair dealing”? 3.8 Is it okay to use images or other material from the internet for educational purposes? 3.9 Do I need to ask permission to link to a website? 3.10 May I post examples of my students’ work on my Blackboard Learn page? 3.11 I adopted a textbook for my course, and the book representative gave me instructional materials, including images, PowerPoint files, etc. Can I distribute any of those materials to my students on paper or through my Blackboard Learn page? There is an important distinction between publicly available websites, and websites that are not publicly accessible. The University of Windsor's Blackboard Learn learning management system is a password protected, secure website that is restricted to and accessible only by UofW students segregated by specific course, class or program. Posting short excerpts of material on Blackboard Learn may be permitted by one of Leddy Library's digital licences or in accordance with the university's Fair Dealing Policy, for the purposes of research, private study, education, parody, satire, criticism, review or news reporting, using the “best practices” under FAQ 3.6. By contrast, posting a copyrighted work on your own website or some other publicly accessible website could leave you open to a charge of copyright infringement, unless it was done with the copyright owner's consent. An important thing to remember is having permission to post copyrighted materials on Blackboard Learn doesn't mean it's OK to post the same materials on your own personal website or a publicly available website. Please note that some of the Library's digital licenses may restrict making or disseminating of copies and limit fair dealing rights. Therefore if a UofW digital license only grants specific, limited usage rights, and the UofW Fair Dealing Policy gives more generous usage rights, the more limited terms of the digital license will apply. In the case of licensed content, you should only e-mail copies of PDFs to your students if this is specifically permitted by the terms of an existing UofW digital license. 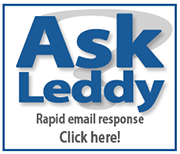 Emailing or posting a link to the materials in an email or on Blackboard Learn is more often allowed by terms of most license agreements - see Leddy Library License Information. If it is a short excerpt copied in full compliance with the university's Fair Dealing policy, you can deliver the excerpt to your student by email. The Copyright Act refers to “technology protection measures”, which are commonly known as TPMs or digital locks. The term describes any technology, device or component that controls or restricts the access to or copying of a work (for example, password protection). The Copyright Act prohibits the circumvention of digital locks that restrict or control access to a work. This means that if there is a digital lock that restricts or prevents access to the work, you must not circumvent the digital lock to access the work, even if you would have been able to copy the work relying on an exception to infringement to reproduce or use a copyrighted work in your classroom, or to post a copy onto Blackboard Learn (such as any of the educational exceptions, or the fair dealing exception). 3.4 May I post a PDF of a journal article I obtained through the library’s ejournals to my Blackboard Learn site for my students to read? Posting a single article from a periodical publication or a book chapter to Blackboard Learn may be permitted under the Fair Dealing Policy, unless this is not allowed under the terms of the library's license for the specific e-journal. Information on allowable uses of materials is available through Leddy Library License Information. You are strongly encouraged to create a link directly to the digital article as the default method of providing access, rather than making a digital copy by uploading a PDF. Uploading an article to Blackboard Learn may mean that your students don't have the most recent version of the article. It's not unusual for publishers to make corrections or changes, such as adding supplementary material, to articles after initial publication. If such changes are made after a copy has been uploaded they won't be reflected in that copy. A direct link is the best way to allow your students to have access to the most recent version of an article. For assistance, see How to Create a Reading List in Blackboard Learn. You may also wish to use the Leddy Library Course Reserves service for this purpose. It is important to remember that the Fair Dealing Policy and the library's digital licenses don't permit you to upload materials or create links on a publicly available website that isn't part of the university's secure network. the institution must take reasonable measures to limit the audience to students only (e.g. secure password-protected access only), and to prevent the students from fixing, reproducing or communicating such lessons except as permitted under this exception. The recordings cannot be sold, rented or distributed widely (beyond the audience of students enrolled in the class) or to the public, in any way that prejudices the copyright owner. This exception would allow you to post a video or audio recording of your class lecture, including a recorded voice-over Powerpoint of the lesson, on Blackboard Learn as long as you comply with the destruction and other requirements described above, and the “best practices” under FAQ 3.6. However, for materials from Leddy Library's licensed electronic resources, the terms of the digital licence will determine how such excerpts can be used – see Leddy Library License Information. 3.6 What are the “best practices” that I should follow anytime that I post copyrighted materials onto my Blackboard Learn site or library Course Reserve? If you wish to rely on the fair dealing or other educational exceptions to post copyrighted materials on Blackboard Learn, you need to ensure that such postings are subject to reasonable safeguards to prevent students from distributing, transmitting or disseminating such materials to persons outside the course or class. You are strongly encouraged to use the Library Course Reserves service to provide access to Library e-resources, such as full text journal articles. When uploading materials directly into Blackboard Learn you must confirm the copyright status of the material being posted, see Copyright & Blackboard Learn. There should be no copying of the same copyrighted work beyond the “Short Excerpt” limits (as defined in the Fair Dealing Policy). Therefore, if you are copying different Short Excerpts from one book, you would have to combine all copying instances to determine whether you fall within the “Short Excerpt” limitations. Copying or communicating multiple Short Excerpts from the same copyright-protected work with the effect of exceeding the copying limits under “Short Excerpt” definition would be considered systemic or cumulative copying, which is strictly prohibited. Materials on the Internet are treated the same way under Copyright law as any other copyrighted materials, so if you want to use them you have to either fall within one of the Copyright Act's exceptions or have permission from the copyright owner. the website is not questionable, infringing or clearly using the works without the copyright owner's consent. Please note that you must also identify the source of the work and, if available and applicable, the author, performer, maker or broadcaster of the work. Only if you have obtained the student's permission. However, if the work contains third party copyrighted materials, you will also need to determine whether such materials fall within the Fair Dealing Policy or whether you or the student may need to obtain consent from the copyright owner to post such materials into Blackboard Learn. It is good practice to ask students in advance whether they consent to have their work posted onto Blackboard Learn and keep written records of the permissions given. If the materials that you wish to distribute to your students are short excerpts that do not exceed 10% of the textbook in accordance with the Fair Dealing Policy then you may distribute them as a class handout or post these materials onto Blackboard Learn using the “best practices” under FAQ 3.6. Please note that you may not photocopy, scan or reproduce any Pearson-owned content items included in the text or Instructor Support Materials for purposes of including them in course packs or other saleable works or products. inclusion in paper tests/exams, hand-outs, or assignments that you create for the sole purpose of supporting your course syllabus. This limited permission shall be in effect for as long as the textbook is adopted, but this permission shall automatically expire if the textbook is no longer adopted. In such event any Wiley owned content must be removed. Please note that you may not photocopy, scan or reproduce any Wiley-owned content items included in the text or Instructor Support Materials for purposes of including them in course packs or other saleable works or products without further written permission. Text derived from Waterloo Copyright FAQ by University of Waterloo, licensed under a Creative Commons Attribution-Noncommercial 2.5 Canada License.